Global Sojourns’ approach to travel is deeply personal. We have lived within Africa’s warm embrace for many years and have traveled extensively throughout the continent. As a result, we provide you with an in-depth, meaningful and unique experience – a journey filled with connections to people, places and traditions in an intimate, responsible and mutually respectful way. A Global Sojourns trip will be customized for you, determined by your interests and budget. Whether you travel independently or, with family and friends, your journey is your own. 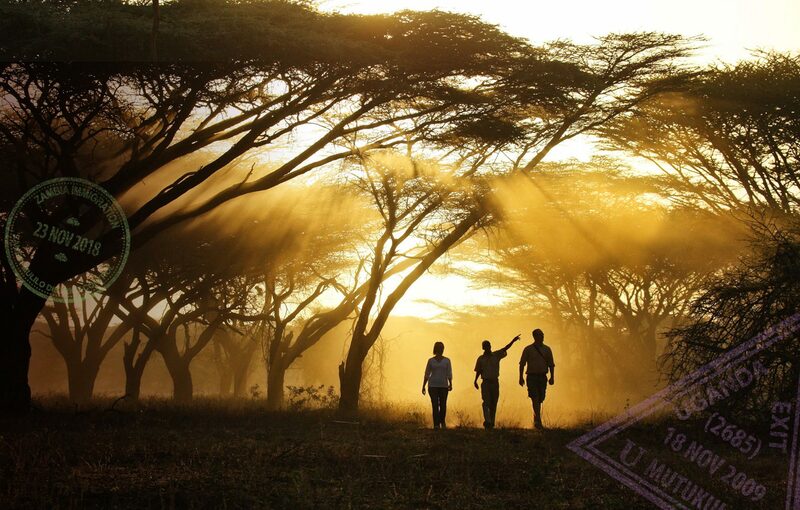 We seek just the right balance of exploration, wildlife and culture. If you prefer to consider one of our pre-designed, small group trips, see Upcoming Trips for further details or inspiration. Our business is based on personal referrals – the ultimate compliment from earlier travelers and a testament to how our expertise, knowledge and attention to detail will make your journey unforgettable. We invite you to take advantage of our passion, local relationships, and love of finding exceptional destinations and experiences. To get the ball rolling, head over to our Safari Planner for information about our process and fill out the online form. This is the first step in our collaboration with you, which will help us form recommendations that meet your priorities and expand your options. As soon as you complete the form, we will be in touch! Priscilla followed her passion to Africa more than 30 years ago and nothing makes her happier than to connect travelers with her favourite people and places. Her MS in International Development underlies our deep commitment to culturally sensitive travel and philanthropic work. Pam’s nurturing personality makes her a natural at taking care of everyone and all of the details. Her grounding spirit enables us to keep on track. Having lived and traveled extensively throughout Africa, she brings priceless knowledge and perspective to the team. Born in Victoria Falls, Smokey is “all about community.” His warmth, humour and sincerity delight all who meet him; Smokey is our anchor, a pillar of our community, and the backbone of the Global Sojourns Giving Circle. You might not experience Wendy directly because she usually deploys her magic behind the scenes. But, like us, you will benefit greatly from all she makes happen. We love to help you experience Africa in ways that traditional tours seldom allow. With decades of experience creating unique journeys, living and working in various African countries, we offer a rare depth of knowledge. We search out fascinating cultural quests and untrodden locales, customizing and executing a journey for you like none other. We link you into our trusted wealth of carefully cultivated contacts who share our passion and commitment. During your trip planning process, we listen, ask questions and dig for nuances that could get lost in an email. Always available for a chat, we believe no question is too basic or insignificant. Our goal is to fully understand your needs and create an itinerary that provides you a trip of a lifetime. While you travel, we monitor your progress to ensure everything runs smoothly. Global Sojourns is not just about travel, our heart and soul belong to the communities where we live, work and have deep connections. Global Sojourns Giving Circle (GSGC) is our U.S. registered not-for-profit organization and core to our Global Sojourns family. It supports and trains local mentors who guide children, primarily girls, toward a brighter future. GSGC is helping to break the cycle of poverty gripping these communities. Global Sojourns founder Priscilla Plummer and a small band of hearty souls launched Global Sojourns Giving Circle (GSGC) in 2008 to create lasting, responsible change in Southern Africa. A U.S. registered non profit, GSGC partners directly with local communities to create sustainable support for children’s education and empowerment. GSGC primarily supports girls clubs run by local women who serve as aunties, or confidantes, mentoring girls in safe spaces. With support and training from GSGC, the aunties gently guide girls to stay in school, avoid early marriage and pregnancy. GSGC-sponsored girls clubs help girls share their challenges, gain confidence, and envision and obtain a brighter future in what is currently a deeply patriarchal society. Each girl’s success helps to break her family’s – and community’s – cycle of poverty. Community elders who once viewed GSGC with skepticism now implore us to expand these community-driven programs. Girl’s club alumnae are attending university and/or starting careers or businesses in their villages or towns. Some have initiated their own clubs. These young women become pillars of their communites and serve as positive examples to the next generation. We are extending our work to include GSGC-sponsored boys clubs – an exciting opportunity to mentor boys to become men who understand the benefits of confident, educated girls and women. By traveling with Global Sojourns, you are helping reduce poverty, strengthen communities and work to conserve wildlife in the long run. Follow Global Sojourns Giving Circle on Facebook and Instagram.